Does your tribe love dinosaurs? 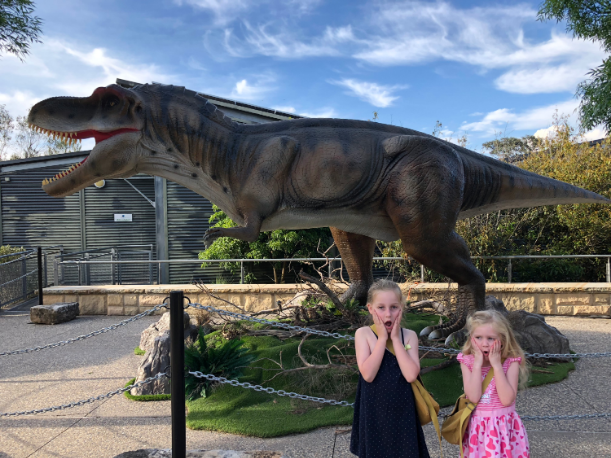 Then you’ll have a roar-some time when you take the Dinosaur Express into Dinosaur Valley at Scenic World. 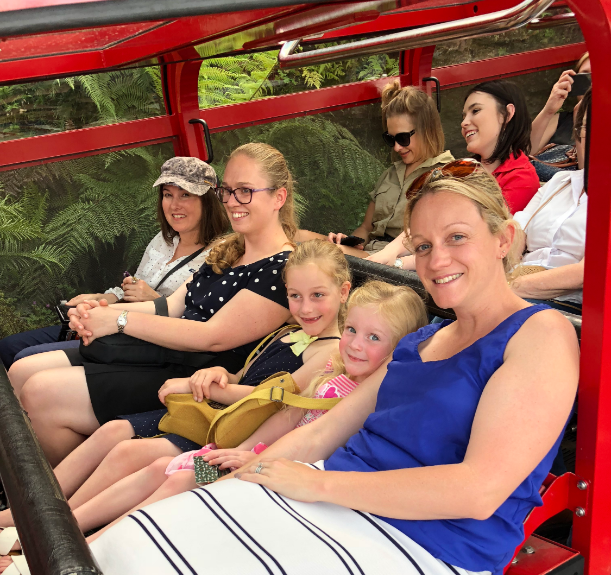 Last week we were lucky enough to be one of the first tribes to go on a tour of Dinosaur Valley at Scenic World in Katoomba. 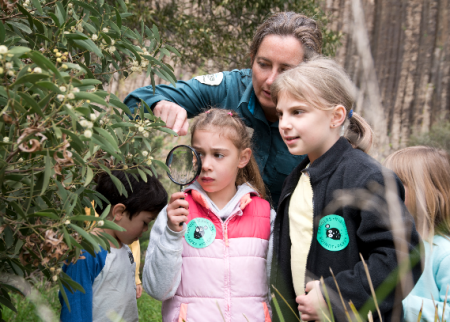 Being local to the Blue Mountains, we were excited when we heard there would be a return of the dinosaurs to our very own backyard, and the adventure did not disappoint! We went straight to the Dinosaur Express (normally known as the Scenic Railway), which is the steepest passenger railway in the world! We held onto our seats and got ready for our adventure deep down into Dinosaur Valley (there was even Jurassic Park music playing). 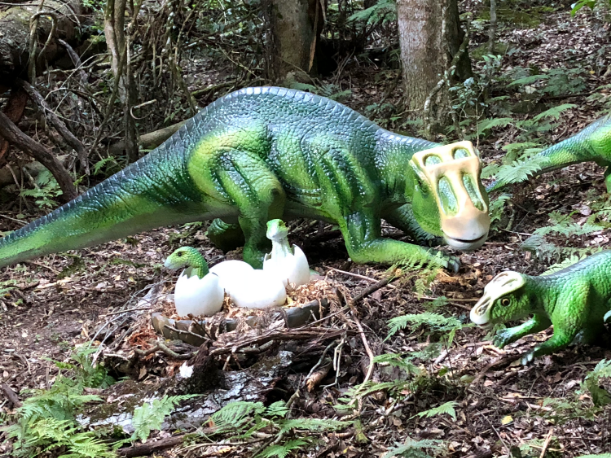 We had fully trained Dinosaur Rangers taking us on a guided tour of Dinosaur Valley, and it didn’t take long until we stumbled upon some dinosaur eggs and the excitement began to set in. 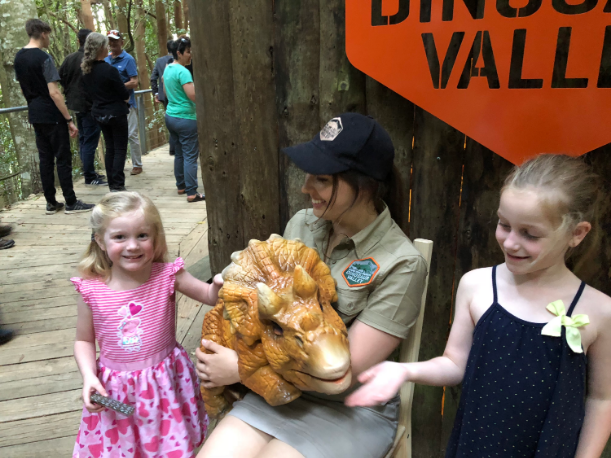 We followed the boardwalk into the ancient rainforest where we were able to spot, read and learn about all of the different species of dinosaurs in Dinosaur Valley. We even loved seeing an Australian dinosaur all the way from Queensland! One of the real highlights was about half way through our guided tour, the Meet and Roar session. The tribe got up close to Ringo, a dancing dinosaur who loves chin scratches and cuddles. There was also a baby triceratops who was available for pats and photos which the kids thought was very sweet! Part of our fun at Dinosaur Valley was the free Junior Dinosaur Ranger kits that the tribe collected before we headed into see the dinosaurs. 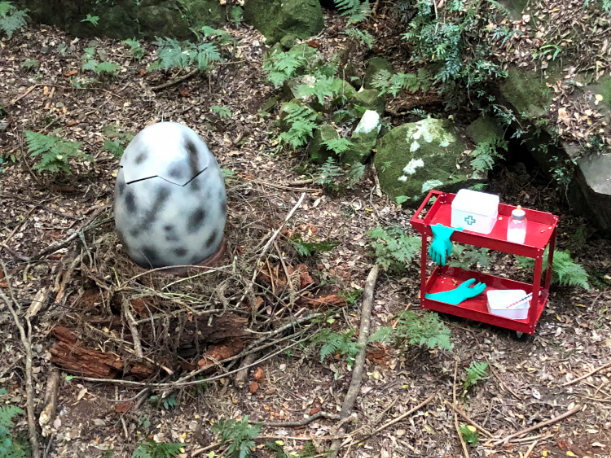 It had binoculars, a note book and pencil for any dino observations and a badge, drink bottle and neck scarf to match the uniforms of the real Dinosaur Rangers. The kids have been playing with them all week and remembering how cool their visit to Dinosaur Valley was. But that’s not the only fun that tribes can have at Dinosaur Valley! 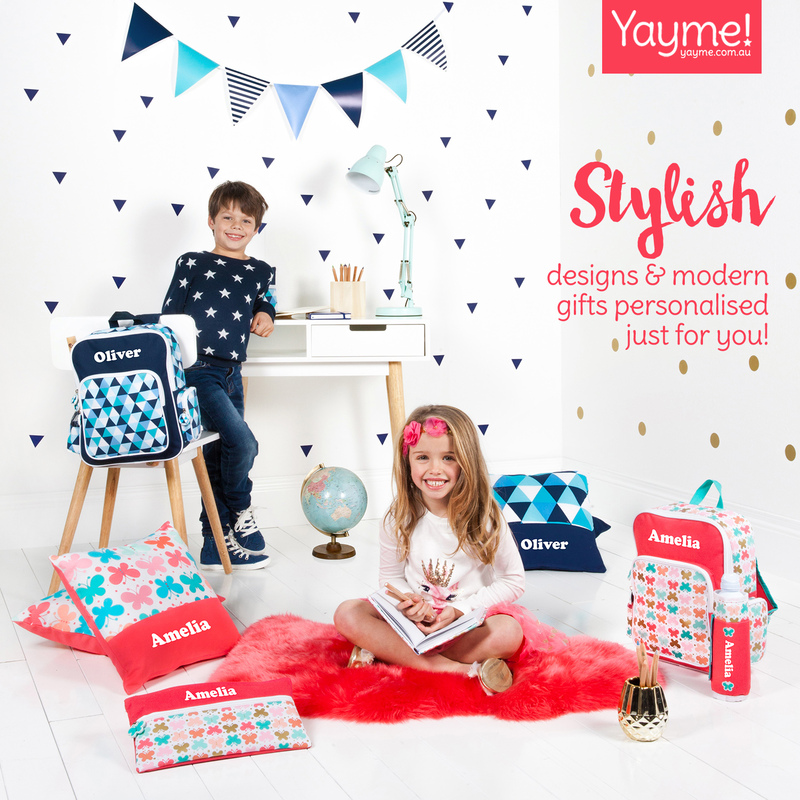 There are other events happening over the two months that the exhibition is happening. The Meet and Roar happens everyday at 10:30am, 12:30pm and 2:30pm so plan your visit so you don’t miss this aspect! 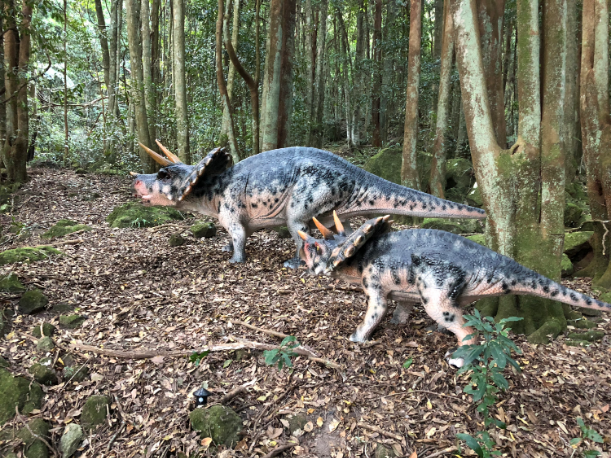 If you are local to the Blue Mountains, there is a special Twilight Tour happening on Friday, November 16 with a tour happening from 6-8pm and a viewing of Dinosaur Island at 8:15pm. 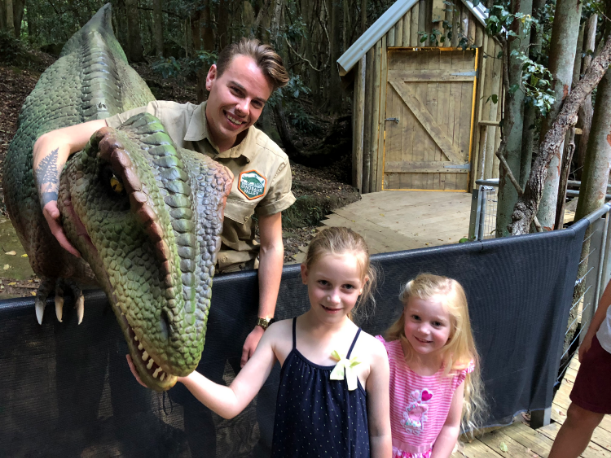 Or if you attend on January 11, there is a free movie night from 8pm at Scenic World where they will be screening Jurassic Park and on Saturday, January 19 at 5pm a free screening of The Good Dinosaur is happening for the little ones. If you are thinking of attending on Australia Day, dress up as a dinosaur and enjoy free face painting and prizes for best dressed dinos. 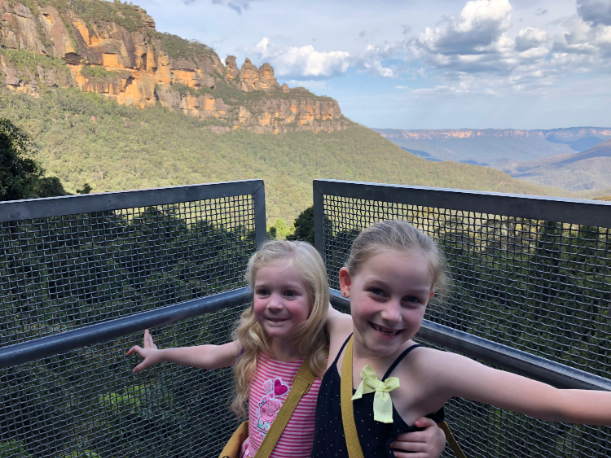 Once we had finished trekking through Fossil Alley and learning all about dinosaurs, the Jamison Valley and even a bit about funnel web spiders and snakes – we caught the Scenic Cableway back up to Scenic World and got to look over the stunning Blue Mountains and the valley as the sun set. We waved goodbye to the Three Sisters and couldn’t stop talking about all of the fun things we had seen, done and learned on our adventure down to Dinosaur Valley.